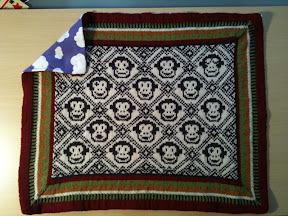 I'm so chuffed I'm going to post this blanket twice. Huge congratulations to my best mates whose daughter arrived yesterday. She'll be getting her blanket in the next day or so when she's ready for visitors.